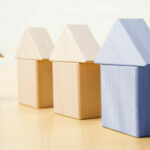 Incorporate innovation – expand head start. Requirements change. Time to act. So you are not in the forest. Produce. How to calculate. Sell. Stylish living for your customers. We will find a solution - every time! 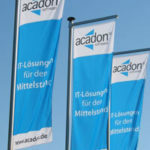 Every day, more than 5000 users work with acadon industry solutions. Do you and your colleagues also want to benefit from innovative industry software? That's exactly what our solutions offer your company. There's no need to come up with a brand new concept for every project - simply make use of the readily available industry-specific functionality of the acadon solutions. Rely on our tried-and-tested system from the very beginning of a project and you will hit the ground running. 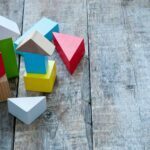 Why have we opted for Microsift Dynamics NAV / Microsoft Dynamics 365 Business Central as the basis for our industry solutions? No room for mistakes: More than 130,000 customers worldwide work with Microsoft Dynamics. Well-organized business processes and up-to-date IT tools are an absolute must to ensure that you continue to expand.